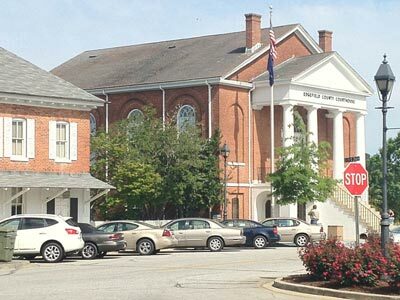 The Edgefield County Council gave unanimous approval to the 2013-2014 budget after its first reading at their regularly scheduled monthly meeting, Tuesday, Apr. 2. The 2013-2014 will see an increase by $251,399 over last year’s budget to bring the total to $8,801,393. The county is expecting to use $343,539 from the fund balance in order to balance the expenditure and revenue budgets for the general fund but will still have approximately 4 months of operating expenditures in reserves. The 2013-2014 budget includes the general operating budget and establishes ancillary budgets for debt service, E-911 administration, solid waste disposal, Victims’ Bill of Rights, emergency medical services, countywide recreation, and road maintenance. Council was advised that there is no anticipated tax increase to fund these budgets. In a related matter, Council voted unanimously to amend the general operating and ancillary budgets of 2012-2013 to provide for revised revenues and appropriations. This amendment was necessary after the county received money from the Local Government Fund; $1,032,320 instead of $914,950. This caused the obvious increase to the local government fund and a decrease in reserves brought forward. The budget also saw increases related to funding of a maintenance position and the replacement of the roof on the Kneece Building. Council was of one accord to give approval for the purchase of an emergency generator with an automatic transfer switch for the EMA offices at the former county agricultural building. Council chose low bidder J&T Service Center, Inc. out of Lincolnton, GA, to supply the refurbished generator. J&T Service Center was the lowest bidder at $26,500 and has done work for the county in the past with which they were well pleased. The funding for this purchase is included in the 2012-2013 budget, and the purchase is 50% reimbursable through the Local Emergency Management Performance Grant. Two ordinance received third reading and passed with the full Council’s consent. One of the ordinances was to amend Chapter 24 regarding land development. It combines several sections of the county code into one and revises some of the regulations found therein. The second ordinance establishes conditional use standards for all lots developed in the zoned and un-zoned areas of the county. It places conditional use standards on such establishments as manufactured housing and bed and breakfast inns but does not prohibit use of property. Several items listed on the consent agenda passed quickly in a joint unanimous vote of acceptance. They included the third reading of the ordinance pertaining to the distribution of funds received from certain fee-in-lieu tax agreements with the county, a board appointment, a resolution to remove Gilgal Church Rd. from the state highway system, a resolution to adopt a policy the preserves the traditional opening invocation at public proceedings, and the rescheduling of Council’s monthly meeting in May to May 6, 2013. Council did hear from several citizens including guest speaker Marcella Edwards who spoke on behalf of Edgefield County Youth Empowerment Center. Ms. Edwards, who had previously addressed Council at their last meeting, returned to clarify the group’s goals and to inquire as to how the group might access funding. Ms. Edwards explained the group is particularly interested in serving the youth ages 13 and above who age out of the county’s recreational programs. The group is currently hosting a basketball league for these youths and have nearly 100 participants. Council Chairman Dean Campbell advised Ms. Edwards that her first step in accessing funding would be to meet with County Administrator Lynn Strom to which Ms. Edwards assured the Council she would do. Council also heard from several public speakers. One asked that a contract previously held with the county regarding Mosely Rd. be re-instated. Madelyn Marshal with Women in Unity addressed Council with an appraisal of the groups progress in the county including the opening of their new location at 3 Pecan Park across from Bi-Lo. Ms. Marshal also advised Council the group will be returning at a later date to ask for financial assistance for upcoming programs. Residents from Simmons Rd. also addressed Council. They questioned recent land clearing noticed on the road which is being looked at by Council as a possible site for the county’s animal shelter. Administrator Strom said the only clearing done at the location was necessary to allow space for equipment needed for tests, such as the perk test, currently being conducted at the site. With no other business to attend, Council adjourned.